At the age of 24, I weighed a startling 100 kilograms (220 pounds) and had been clinically obese most of my life. I set out to lose 36 kilograms (79 pounds) so that for the first time (when not ill) I could be within the healthy weight range for my height. I achieved and surpassed my goal. None of that would have been possible without The Eat to Live Diet. I had been clinically obese for the better part of my life. At the age of 24, I decided that lugging around so much weight no longer served me. I felt: if I intended to do all the things that I dreamed of doing in my life, then I needed to be more lithe and energetic. This is how, after an exhausting mountain climbing experience, I began to go to the gym regularly. Exercising regularly made a great difference in my life. Almost instantly, I found myself stronger, more energetic, and more vital. Unfortunately, exercise alone did nothing to reduce my body weight. Although I felt great, I still found myself 36 kilograms overweight, a few months before my 25th birthday. That fact alone might never have propelled me to action—I had long learned to live with excess weight. When I started to outgrow my size 20 clothing, though, vanity required that something be done. At first, all I wanted was to fit back into my clothes comfortably. When I started to see my weight drop fairly easily, though, through minor adjustments to my diet, I began to get a little more ambitious. I figured: why not go all the way and end my weight woes once and for all? 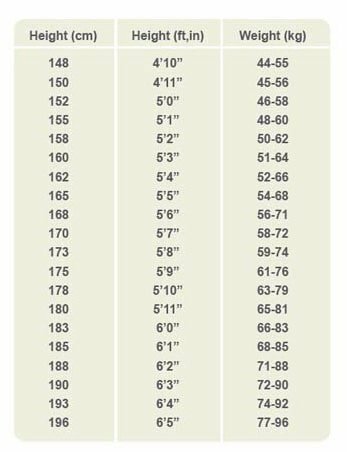 Why not lose weight until I was within the healthy weight range for my height? It seemed like a stretch, because I had been overweight for over 15 years. Still, somehow I was willing to try. Six months later, I had successfully shed 15 of the 36 kilograms that I intended to lose. I was pleased with the weight loss but was emotionally fatigued by the weight loss journey. Six months of constantly paying attention to what I was eating and how much exercise I was getting had taken its toll. Still, not one to give up, I was determined to succeed. I was going to lose the remaining 21 kilograms…I just needed it to happen a little faster! As I do whenever I need something seemingly impossible to happen in my life, I turned to God and prayed. The next morning, it occurred to me to try a weight loss regimen that had worked for me when I was a teenager in high school. I had found the regimen in a book called Fit for Life , and during one summer holiday, I had lost weight, quite easily, without much stress. I headed to Textbook Centre at Sarit Centre to see if, perhaps, I could find this book again. I did find Fit for Life, but as I was browsing through the health and fitness section at Textbook Centre, I also spotted The Eat to Live Diet: Lose 20 Pounds or More in Six Weeks—Safely by Dr. Joel Fuhrman. At first, I scoffed at the book primarily because of its title. It sounded like one of the many get-thin-quick gimmicks that I knew was very unlikely to yield results. Everyone knows, after all, that it’s virtually impossible to lose that much weight in such a short amount of time, right? Still, after looking through the book and reading its back cover, I decided to buy it too. In fact, I decided to read that book first when I got home. I read The Eat to Live Diet, and it seemed to make a lot of sense. Still, I didn’t think that the kind of diet it espoused would be one that I could easily follow. It advocated eating a lot of vegetables (particularly leafy green ones), fruits, nuts, and beans almost to the exclusion of all else, especially during the first six weeks of the regimen. Although I was keen to lose the remaining 21 kilograms of weight that I still had to lose, I was not willing to do so by being uncomfortable and constantly hungry. I went to bed that night thinking that The Eat to Live Diet, though theoretically interesting, was not something that I was going to try myself. The next morning, The Eat to Live Diet was still on my mind. On a whim, I thought: let me try it out for a day and see how I feel. In the morning, I did nothing different. I had my usual bowl of fruit salad which was acceptable on The Eat to Live Diet plan. At lunch though, instead of my regular meal, I decided to have a big plate of cooked spinach (I had lunch at a canteen near my workplace so had a limited selection of vegetables). I was sure I would be hungry again within two hours or so. I didn’t think about food again until 5:15 p.m., right before I left work that evening. On a plate of spinach?! The Eat to Live Diet had caught my attention! Somehow, one day led to the next, and I found myself practicing The Eat to Live Diet for several months. Within 3 months, I had lost another 15 kilograms, in half the time it had taken me to lose the first 15. Honestly, these were exactly the results I had wanted but had never dared hope for. But that’s not all I gained from following The Eat to Live Diet. Although I am telling you about The Eat to Live Diet from a weight loss perspective, the diet itself is geared towards providing maximum health to those who follow it. During the time I was on The Eat to Live Diet, I had increased energy (never suffering from the common afternoon post-lunch slump) and cannot remember suffering from ailments such as the common cold. I was in very good health overall. Another unexpected (but pleasant) side effect of The Eat to Live Diet for me was increased financial health. Yes, that may sound surprising, but since fresh produce, which is what I was predominantly eating, is a lot cheaper than processed foods in Africa, my bank account was also happy that I was eating this way. All in all, The Eat to Live Diet, was a real blessing. Five years after the fact, the 15 kilograms that I initially lost through The Eat to Live Diet have stayed off. Those who have battled the bulge know what a feat that is. All in all, loosing the 30 kilograms I mention in this post, truly changed my life for the better. Furthermore, now that I know exactly what it takes to shed weight healthily, I don’t live in fear that one day, I might wake up to find myself as overweight as I once used to be. How Can You Replicate the Same Results? If you are currently battling excess weight and have no clue what to do to win the fight, then get yourself a copy of The Eat to Live Diet and learn how you, too, can quite easily (with a little discipline) bring your weight under control. I got my copy of this book at Textbook Centre in Nairobi (so that is a great place to start looking if you live there), but you can also buy it here on Amazon . When you do, let me know what you think. I look forward to hearing what you have to say. Wow I’m inspired I’m off to text book centre to buy this book this is a battle that can be won! Still overweight can be a health issue – so you do what you need to do. Good luck on the diet! Let me know how it goes. I know you like food like me. That is one of the things I love about your blog.If I was in Nairobi, I could see myself comparing notes on restaurants with you. I have tried to locate this book in London bookshops today, and it is out of print! However I can get it on Amazon. The thing with diets, is it helps to know someone who can vouch for them. You gave me so much steam, I must have lost a few pounds today, in search of the book. I also went to a number of secondhand bookshops,as Waterstones and Borders didn’t have it, but noone had it in. I will keep you posted, when I start it. Thanks so much for the link. I will update my post now! I hadn’t found this website while researching my post. The website does a great job of discussing the diet plan and the benefits of eating the way prescribed in the book. From experience, I can vouch that what the website says is all true! I am glad I inspired you to go out and look for the book. If I can give one person the pleasure of experiencing what I experienced and continue to experience as a result of this book, then my post will have been well worth it. I can’t wait for you to get your hands on it. Thank you for sharing your experience. I came upon this book last week and read it quickly. I have managed my first two days on the plan. I was glad to read about your experience because you sound like a reasonable person who has had great results. The verdict is still out for me because it is such a radical change that I have to wonder how practical it is for me. My family is watching me consume asparagus for breakfast and must be thinking I’ve lost it :-). I also pray for wisdom in these matters and was encouraged to know that you have found this to be a possible answer to those prayers. Congratulations on your improved condition! Welcome to ChickAboutTown! Thank you for the congrats. Are you still on this diet? How is it going so far? I recently tried on a pair of pants that I hadn’t worn in over a year and couldn’t fit in them, so I am back on this diet for a bit. It’s nice to know someone else out there is too. Although I am not a weight management professional, I would still like to share some tips that I’ve learned on my own weight management journey. I, too, at your age was 20 kilos overweight. When it comes to hunger, I don’t think that you should avoid eating when you’re hungry. Hunger is your body’s way of telling you that it needs food. If you eat when you are not hungry, then you give your body more food than it needs (which results in excess weight); but if you eat when you are hungry, then you give your body food just when it needs it, which is exactly what you should do if you want to balance how much energy your body consumes vs. how much it expends every day. Personally, I try to eat only when I am hungry, ignoring all other reasons for eating, such as social expectations, set meal times, and boredom. Another question you might want to consider is: what should you give your body when it tells you that it needs more food? For me, the answer has been natural, whole, unprocessed foods with an emphasis on fresh fruits and vegetables – basically nutrient-rich, lower-calorie foods. I also recommend (if you aren’t doing it already) that you get into the habit of doing an hour of exercise every day. This can be as simple as walking or as fun as dancing. In my own life, I have found that this does wonders in helping me manage my weight. That, as well as drinking a lot of water (think: 8 glasses a day). I think we have to be careful with diet. The best thing would be to eat healthy food but a little less I think. There are some new concepts that delivers food to your place that you can easely cook, and you are sure to eat well ! Welcome to ChickAboutTown! Thanks for weighing in on the conversation. Wow! Congrats again for you weight loss! Were you doing sport more or less when you started follow the “Eat to live” diet? I have those 15kg to lose also, hopefully in 2 months. Will check out for the book. Thanks for sharing your story. Yes, I was exercising. I used to walk to work (5 km) and then would walk up the stairs (25 flights) when I got there. But I had been working out for many months before that and actually even put on weight when I first started going to the gym. The Eat to Live Diet was what seriously sealed the deal for me. The weight just melted off. I am so glad I came across this blog once again. How I could I forget?! I have been walking about 4-5km up to 4 times a week for the last 4 months with no apparent weight loss. Starting TONIGHT I am starting Eat To Live!! Once again, thanks for resharing! So nice to see you on the blog! Thanks for your comment. I see you and your husband or on fire with all the exercising. But yes, I also know how weight can refuse to shift even when you are exercising regularly. 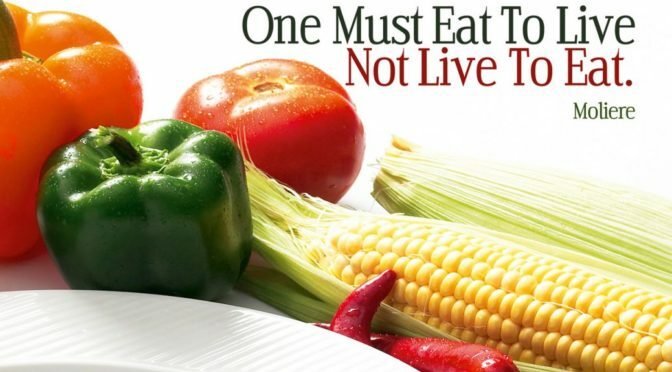 Eat to live! And let me know how it goes. Come back to post your success story here in the comments.